We recently moved house and needed to send out new address cards to everyone. I decided to design our own after looking at far to many online. After experimenting in photoshop I came up with this design that has been given an embossed effect. It worked really well on screen and once printed out. 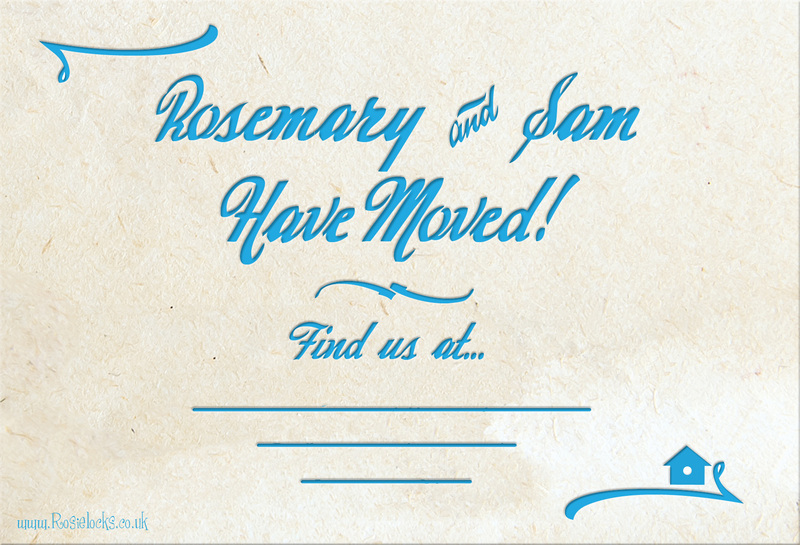 The original had our new address below the “Find us at…” but I have replaced it with lines for obvious reasons on this version! It also gave me the idea to use this as the new look for this site.